Makeup trends come and go, and when you’re a busy parent, you don’t always have time to alter your beauty routine to fit the latest styles. Just because you’re busy doesn’t mean you have to give up your personal style, though. When it comes to striping, strobing, and contouring, which of these techniques will work best for you and your schedule? The other two makeup trends in this list developed as a response to contouring, so we’ll begin our discussion there. With contouring, you use makeup to create shadows and highlights on your face (and your neck, if you desire) to bring out certain features, minimize others, and highlight bone structure. This process involves creating layers of color on your skin and blending them together, which makes it very time-consuming. You have to get the shadows and highlights in just the right positions, or you can end up looking clownish. 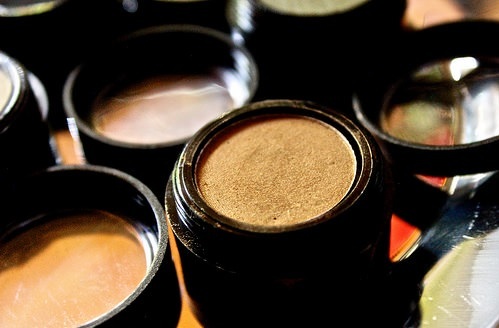 Though the specific tools vary based on personal preference, you’ll need at least three foundation colors: one lighter than your skin, one the same color, and one darker. You’ll also need application brushes, a blending sponge, and a translucent setting powder to keep all the contouring in place throughout the day. The strobing technique creates subtle highlights on your face, as though the light is catching you in just the right spot. You use a highlight product several shades lighter than your skin. Apply it along your cheekbones, just beneath your eyebrows, down the center of your nose, and just above your top lip (if you want to emphasize your lips). Think of where the light naturally hits your face. That’s where the highlighter goes. 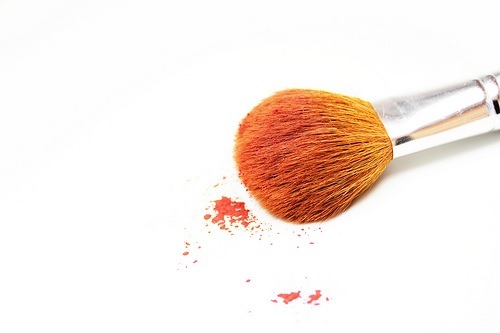 Use a small brush or sponge or your fingers to apply it, then blend it with a blending sponge or a fluffy brush. This one is fast, and it’s easy to get right. Strobing combines with your existing beauty routine, so all you’ll need is a highlighter and either a sponge or a fluffy brush to blend it. Create your strobe look with Amway cosmetics by picking out the perfect highlighter. Some people like a highlighter with a little sparkle and shimmer, while others prefer to create a slightly more muted look by choosing a matte color. Striping uses bronzer to create a sun-kissed look that naturally highlights your cheekbones. You can do the technique on its own or combine it with other parts of your favorite beauty routine. To start, you select a non-shimmer bronzer that works with your skin tone (don’t go too dark, too light, or too orange). Then use the bronzer to create a stripe across your entire face. It goes from the top of your ear, across the highest part of your cheekbone, over the bridge of your nose, and symmetrically to the other side. Blend it with a brush, and you’re done! As long as you can brush on a straight line, this one’s pretty quick. All you need for striping is your favorite bronzer, a foundation brush or an angled brush for application, and a fluffy brush or a sponge for blending. As you can probably tell, contouring is the most labor-intensive technique on this list. It requires not only time but practice, because your first few attempts might not work out quite like you want them to. Save contouring for important parties or big nights out. Strobing and striping, on the other hand, both require minimal effort. They’re two-step processes: Apply the color, then blend it. You don’t need any other makeup to achieve either of these looks. If you’re feeling like your skin is looking dull lately, go for strobing. It’ll add some highlights and some liveliness to your complexion. If you’re feeling like your skin tone could use some depth, try striping, and don’t be surprised if people ask you whether you’ve recently been on vacation! Busy parents can still have time to experiment with new makeup techniques and trends; just pick the ones that you have time for, and you’re good to go!